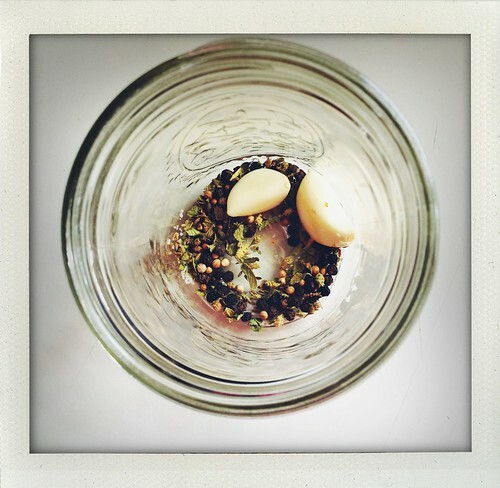 Add seasoning into the bottom of a mason jar (preferably one that has been well sanitized). 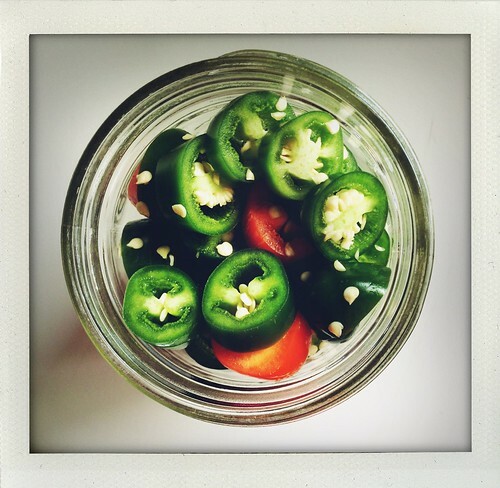 Add the jalapenos on top of the seasoning. Set aside. In a sauce pan add brine ingredients and heat until just before boiling. 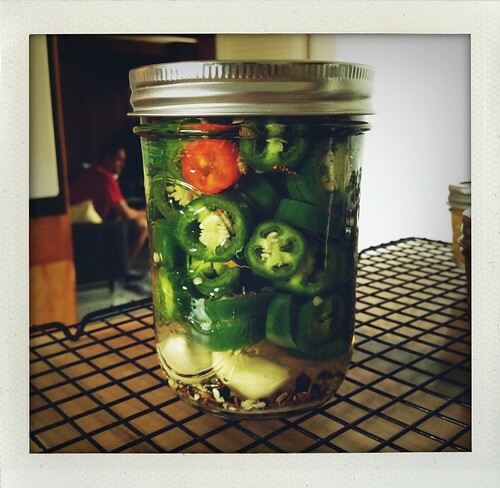 Pour brine over the top of the jalapenos into the mason jar. Let cool and refrigerate or can them.